Exclusive property in Aventura's premier community. One of only 4 corner townhouses in Porto Vita. 4,500 square feet under air with a 2 car garage. Two private boat slips that can each fit 80 foot boats exclusive to this home, in addition there is also a 21 slip private marina for residents. Brand new, fully renovated state of the art amenities separate Porto Vita from other communities; a world class spa, a fitness center with personal trainers and massage therapy, formal and casual dining and more. 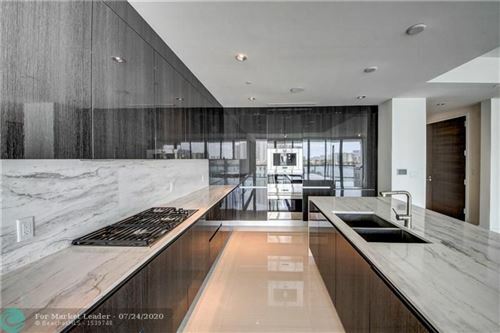 STUNNING AVENTURA TOWN-HOME! EXCLUSIVE GATED COMMUNITY. 500K+ IN RENOVATIONS! 26' VOLUME CEILING EXQUISITE GOURMET MEGA KITCHEN W/ GLASS WINE CELLAR. MASTER SUITE HAS NEW NO EXPENSE SPARED BATH W/ STEAM SHOWER. . SMART AND WIRELESS HOME! WALKING DISTANCE TO HOUSE OF WORSHIP! 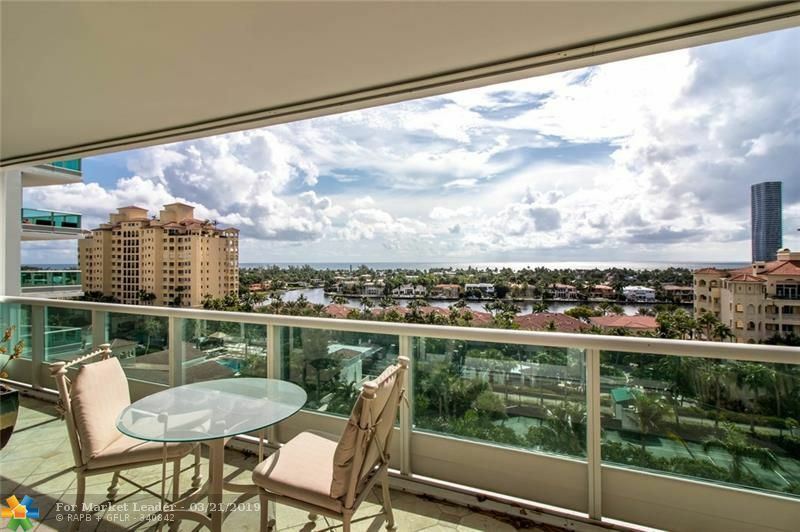 SPECTACULAR unobstructed views of the Atlantic Ocean, wide open Bay, Golf & City from 23rd floor corner! Spacious OPEN plan 3/2.5 2289 sq. plus 2 large balconies of approximately 500 sq Ft, LARGE Master BR & Closet. 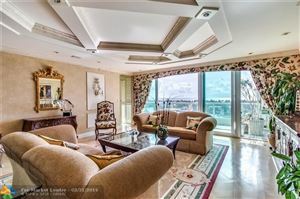 High level views beautiful both day & night of the City of Aventura & Sunny Isles come to life. Aventura Marina 2 offer's unmatched amenities within this exclusive gated community including heated pool, spa & fitness center. As you enter into your private elevator to the foyer you will see the beautiful marble floors- Remodeled open European style kitchen it is just the perfect place!! Luxurious bldg features two resort style pool 24 hr security private lobby clubhouse fitness center 2 covered parking & valet- Near Aventura Mall - Best line in the building. Exquisite 2 bedroom - 2 bathroom sky-home in the best and rarely available *07-line. 2120sf under air split floorplan. 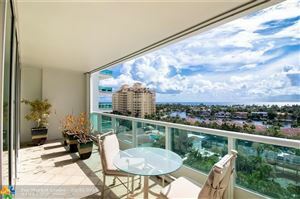 29th floor provides unobstructed panoramic & incomparable ocean views from Miami to Fort Lauderdale and beyond from every window and the oversized wrap around balcony. Brazilian Koa hardwood floorings in both master suites with custom walk in closets. Two lavish bathrooms. 5 star resort style amenities and deep water marina on prestigious Williams Island. Completely renovated 2 story condo, your read that correctly, 2 stories! Unbelievably rare and unique unit, which lives more like a townhome. You enter the unit on the 17th floor. A wide open floor plan allows natural light to flood the living space and kitchen. There's even a separate nook that would make an ideal home office space! Large balconies line both the upper and lower floors. The master and guest bedrooms are on the 16th floor. Each has a full bathroom. The master bedroom features an over sized walk in closet. The 16th floor, or lower level, also has a full laundry room. Functioning interior elevator that runs between the 16th and 17th floor! A whopping 2,470 square feet per tax roll. Simply put, there's nothing like this unit on the market! Experience a new level of luxury in this immaculate 3/2/1 in prestigious,gated Aventura Lakes.Porcelain and wood floors.Newly renovated master bathroom with soaker tub,quartz counters,wireless speaker rainhead shower.Laundry room upstairs.Tiled garage with utility sink,customs cupboards.Clubhouse,gym,jacuzzi, pools,play areas.Best school district,close to malls,beaches,places of worship. Great Opportunity for the Most desired line in the building THE 09 LINE!! 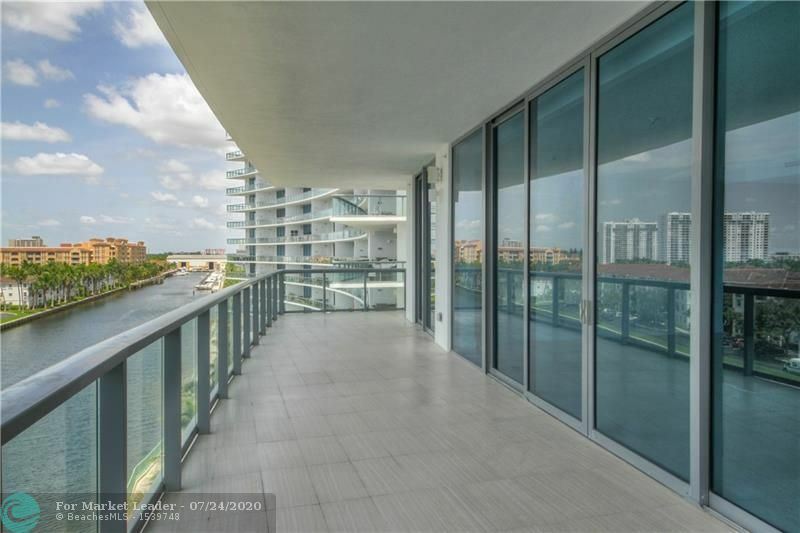 Spectacular Intracoastal views from every room in this beautifully maintained residence. Large balcony offers ocean, pool and marina views. Renovated spa and fitness center with state-of-the-art fitness equipment. Amenities include restaurant/caf+¬, 4 tennis courts, BBQ area, and 3 pools. Located close to the Waterways Shoppes and Aventura Mall. DonGÇÖt miss this 28th floor special residence. WELCOME TO ONE ISLAND PLACE IN AVENTURA WATERWAYS...ONE OF THE MOST DESIRABLE BUILDINGS IN THE CITY! BREATHTAKING 360 DEGREE PANORAMIC OCEAN AND CITY VIEWS FROM EVERY WINDOW! PRIVATE ELEVATOR LEADS TO SPACIOUS FOYER. THE ENTRY REVEALS AN OPEN, AIRY, PRIVATE AND ELEGANT TRIPLE -SPLIT CONDO WITH PORCELAIN FLOORS IN ALL MAIN LIVING AREAS!THIS 3,3 IS PRICED TO SELL SO YOU CAN MAKE IT YOUR OWN! BEAUTIFUL LARGE SQUARE FOOTAGE. THE MASTER SUITE BOASTS 2 WALK IN CLOSETS, OVER SIZED BALCONY AND MARBLE MASTER BATHROOM! INVESTORS TAKE A LOOK!YOU CAN RENT RIGHT AWAY! ADD THIS TO YOUR REAL ESTATE PORTFOLIO TODAY! ONE PARKING SPACE,VALET, CLOSE TO AVENTURA MALL,RESTAURANTS,BEST SHOPPING AND AIRPORTS! Gorgeous Villa in Mediterranean Village with 3 Bedrooms, 3 Full Bathrooms, & Half Bathroom; En-Suite Bathrooms & Balconies in All Bedrooms. Dramatic Foyer Leads to Open & Bright Living & Dining Areas with Bar Perfect For Entertaining, & Private Balcony to Enjoy Endless Views of the Marina & Lush Gardens. Split Floorpan Flows Beautifully & is Complimented by High Ceilings, Lots of Windows for an Abundance of Natural Light, Elegant Marble Flooring in Living Areas, & Soft Carpet in Bedrooms. Lots of Closet Space Throughout with His & Hers Walk-In Closets in Master. Move-In Ready & Easy to Add Your Own Personal Touches. 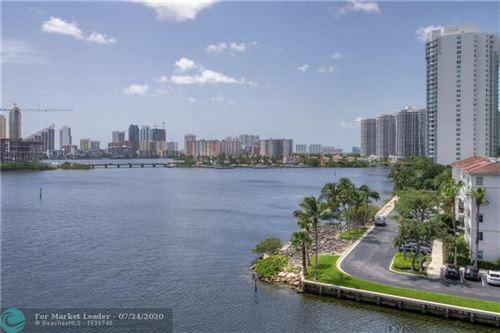 Live in Prestigious Williams Island & Enjoy Tennis Courts, Restaurants, Spa, Fitness Center, Marina, Walk/Jog Path, Kid's Playground, Courtesy Bus, Doggie Park & More! HUGE UPDATED 4BED/3.5 BATHS TOWNHOUSE IN GREAT WATERWAYS COMMUNITY! OVER 2700SF!ITALIAN WOOD KITCHEN WITH GRANITE COUNTER-TOPS AND STAINLESS STEEL APPLIANCES!TILE AND WOOD FLOORS THROUGH-OUT!ALL CALIFORNIA CLOSETS! GREAT LOCATION IN AVENTURA, WALK TO WHOLE FOODS MARKET AND TARGET SUPER STORE! GREAT SCHOOL DISTRICT! NEW HIGH SCHOOL IS PLANNED WITHIN WALKING DISTANCE! EASY TO SEE!